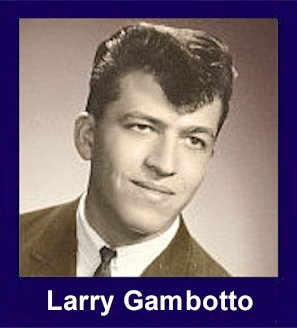 The 35th Infantry Regiment Association salutes our fallen brother, SGT Larry Louis Gambotto, who died in the service of his country on September 13th, 1968 in Quang Duc Province, Vietnam. The cause of death was listed as Small Arms/AW. At the time of his death Larry was 20 years of age. He was from Dearborn, Michigan. Larry is honored on the Vietnam Veterans Memorial at Panel 44W, Line 47. The decorations earned by SGT Larry Louis Gambotto include: the Combat Infantryman Badge, the Silver Star, the Purple Heart, the National Defense Service Medal, the Vietnam Service Medal, the Vietnam Campaign Medal and the Vietnam Cross of Gallantry with Palm Unit Citation. Larry was awarded the Silver Star posthumously for gallantry in action while engaged in military operations against an armed hostile force in the Republic of Vietnam. Sergeant Gambotto's tour of duty in Vietnam started August 8, 1968. He distinguished himself while serving as a Squad Leader with company B, 2d Battalion, 35th Infantry, 4th Infantry Division. On 13 September 1968, Sergeant Gambotto's company was conducting a combat operation in the vicinity of Duc Lap when it came under intense sniper fire. Leading a small element forward, Sergeant Gambotto attempted to locate and eliminate the enemy sniper. As the enemy fire increased his element was forced to retreat. As the company maneuvered into position to engage the snipers, Sergeant Gambotto voluntarily took the point. After proceeding about 50 meters, well-entrenched and concealed enemy positions took the platoon under fire and seriously wounded Sergeant Gambotto. Disregarding his wounds, he charged the enemy. Sergeant Gambotto also was awarded the Purple Heart, Good Conduct Medal, and Combat Infantryman Badge. Prior to his death he was awarded the National Defense Service Medal, the Vietnam Service Medal, the Vietnam Campaign Ribbon, Sharpshooter Badge with Automatic Rifle and Machine Gun Bars, and the Marksman Badge with Rifle Bar.